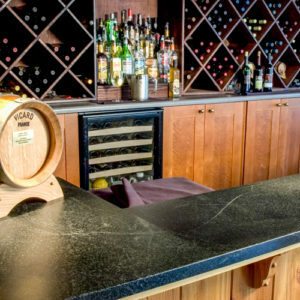 Soapstone is great for commercial applications too. Truly the point where form meets function. 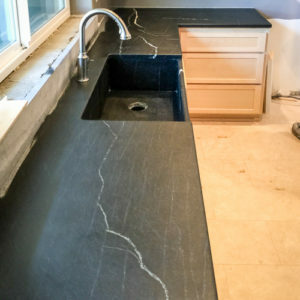 Soapstone is a natural surface yet totally unique. 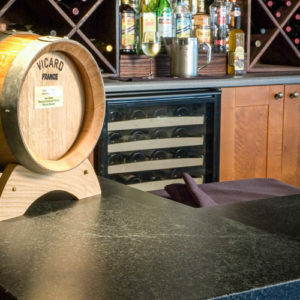 Its uniqueness and durability make it a great fit for commercial applications and therefore in great demand for everything from bar tops to flooring. 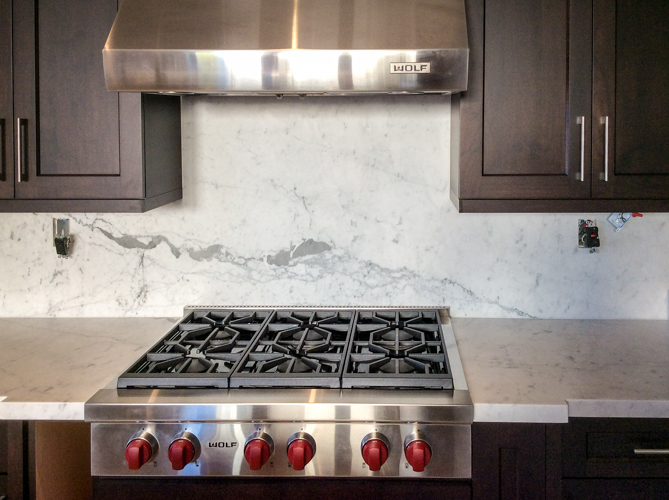 Going for a natural finish in your design? 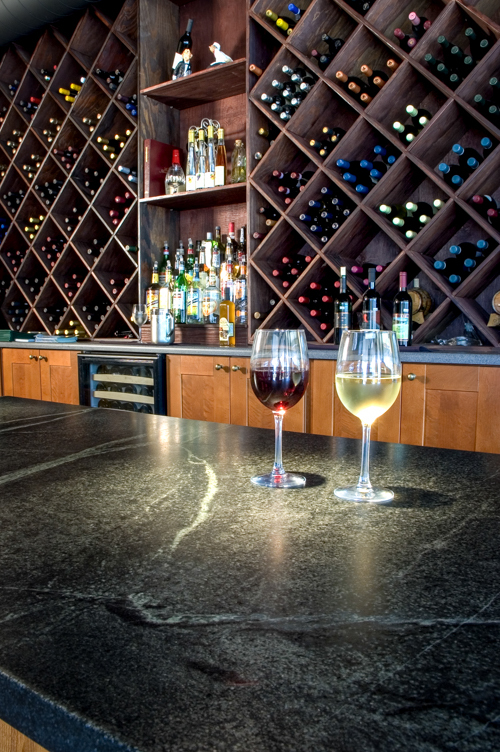 Considering Marble, Granite, Quartz or even Concrete for your commercial application? 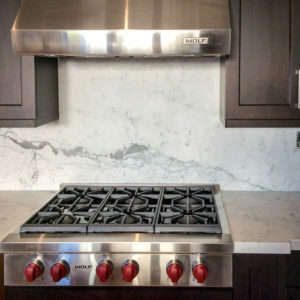 Marble, Granite and Quartz slabs become common due to the fact that the same color, quality, and finish of stone that can be quarried from any one location for years and years. Soapstone on the other hand is so incredibly unique that no 2 slabs are ever the same. 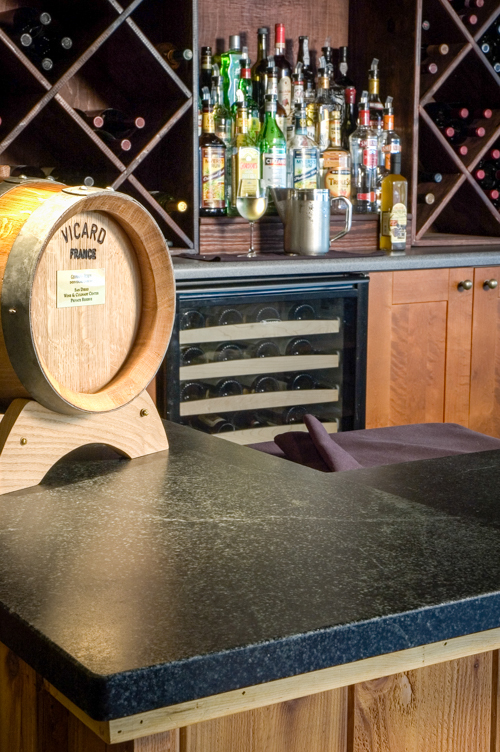 Soapstone is ideal for for commercial applications that you want to stand out as unique, sustainable, and exceptionally beautiful. 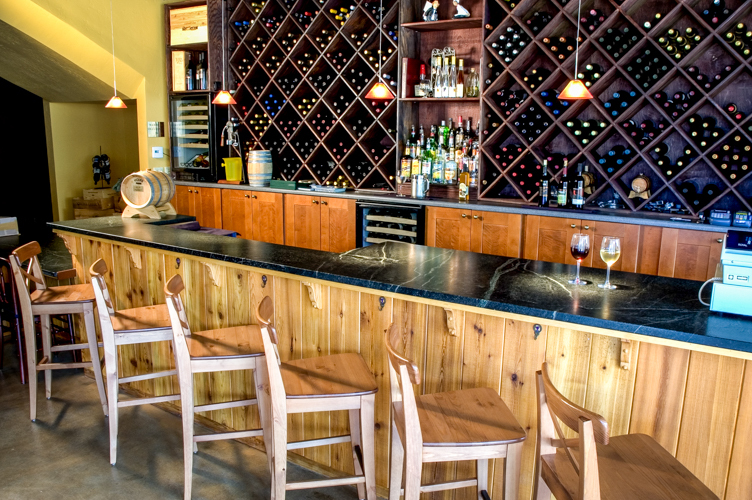 Soapstone appeals to the most discerning tastes. Soapstone is extremely dense, and almost completely non-porous. 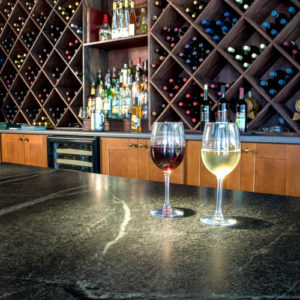 That translates into a tuff, durable countertop or flooring that will never absorb spills or stains. Probably checks a lot of boxes for most commercial applications! 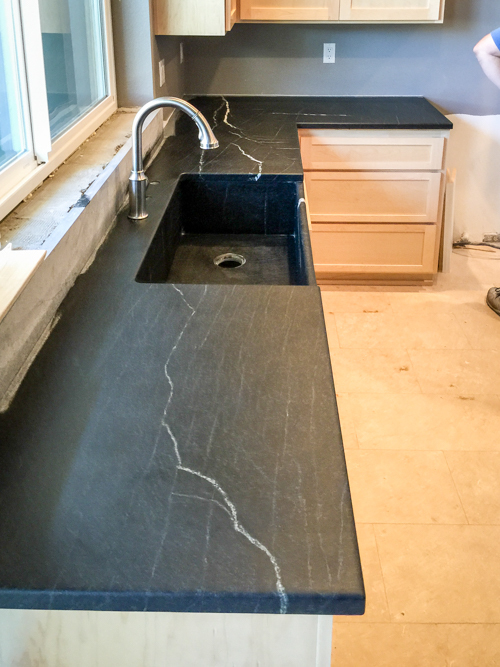 Soapstone is so durable in fact, that it’s not uncommon to hear of Soapstone being passed on from one generation to the next, lasting many generations in some cases. And why not – if it does get scratched or dented you can easily sand these out. In fact, this is one of the most unique things about Soapstone. 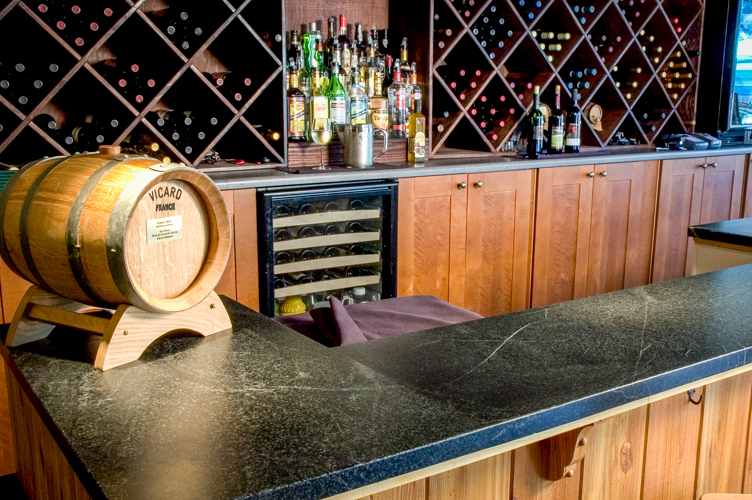 Other natural surfaces would require costly replacements should you scratch or dent them, not so with Soapstone! 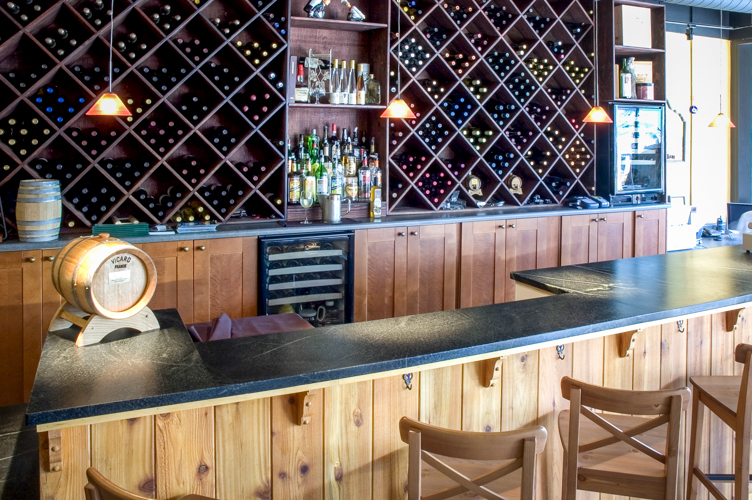 Soapstone will appeal to your customers. Keep your staff happy. And support your business for decades to come.